SANTA ANA, Calif.–(BUSINESS WIRE)–Greenkraft Inc. (OTCQB: GKIT), a California based manufacturer of alternative fuel trucks and alternative fuel systems, today announced that the California Energy Commission (CEC) approved Greenkraft’s and Efficient Drivetrains, Inc.’s (EDI) joint application for a grant to develop a compressed natural gas (CNG)-hybrid electric vehicle. 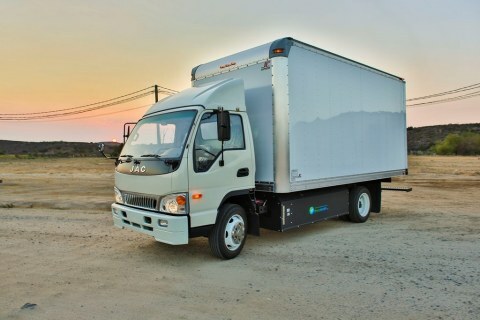 The CEC through its Energy Research and Development Division jointly awarded funding of up to $900,000 for the development of a Class-4 vehicle that combines the benefits of Greenkraft’s CNG trucks and EDI’s high-efficiency plugin hybrid electric vehicle (PHEV) technology. SANTA ANA, Calif.–(BUSINESS WIRE)–Greenkraft Inc. (OTCQB: GKIT), a California-based manufacturer of alternative fuel trucks and alternative fuel systems, announced today that its assignment of all rights and patents associated with the Invention “LPG Fuel System” described under Application Number 61908022 was officially filed and recorded with the United States Patent and Trademark Office. This assignment was filed on May 2, 2014 and the filing receipt was mailed to Greenkraft on May 19, 2014. 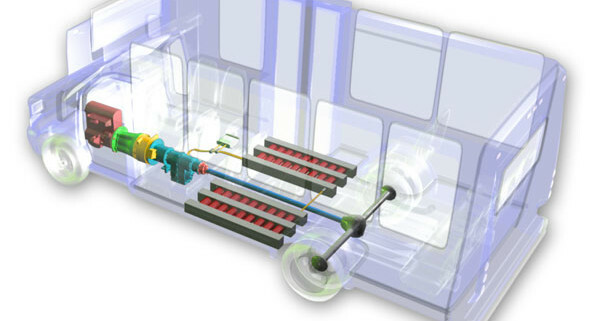 This invention relates to the conversion of vehicles to run on LPG and can be used to produce trucks running on propane fuel and other alternative fuel systems that allow vehicles to run on propane fuel. SAN JOSE, Calif.–(BUSINESS WIRE)–Efficient Drivetrains, Inc. (EDI), a global leader in advanced, high-efficiency plugin hybrid electric vehicle (PHEV) and continuously variable transmission (CVT) solutions, today announced a high-profile partnership to develop a first-of-its-kind, Class-4 vehicle that combines the benefits of compressed natural gas (CNG) and PHEV technology. Ryder is developing a natural gas fleet and facilities to take advantage of the increased availability of natural gas in North America.